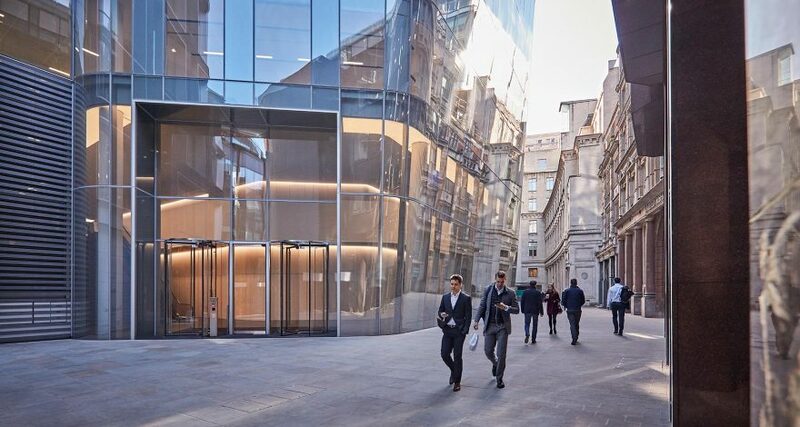 Mitsui Fudosan UK and development partner Stanhope plc have confirmed three office lettings comprising over 90,000 sq ft at One Angel Court, the partnership’s 300,000 sq ft prime office building in the heart of the City of London. Bupa, the international health and care company, has signed for 56,000 sq ft of space on a 15-year term on Angel Court’s lower floors. Bupa will move its global headquarters from its existing premises in Holborn by the end of the year. A new financial services trade association, which will bring together six member organisations from across the UK, has completed a deal for 25,000 sq ft on the building’s fifth floor. As yet unnamed, the new trade body will bring together the Asset Based Finance Association (ABFA), British Bankers’ Association (BBA), Council of Mortgage Lenders (CML), Financial Fraud Action UK (FFA UK), Payments UK and the UK Cards Association (UKCA). The merger is an expansion of last year’s deal to bring together BBA, Payments UK, CML and UKCA and will be officially launched over the summer. Benefiting from the building’s unique location in the heart of London’s financial district and next to the Bank of England, the new trade association is expected to move into Angel Court in July. Finally, Chinese commercial bank Shanghai Pudong Development Bank has signed for 9,000 sq ft on a 10-year term. The bank has taken the entire 19th floor, which forms one of the building’s 18 upper ‘Sky’ floors and boasts uninterrupted 360 degree views of the London skyline. Angel Court, which completed in February, is one of only two towers to be delivered in the City this year. Alongside providing high quality office accommodation, the scheme boasts a popular and varied dining offer, which will significantly rejuvenate the surrounding streetscape upon opening. Over the last six months, Mitsui Fudosan UK and Stanhope have confirmed deals with four new food and beverage occupiers. Modern Peruvian restaurant, Coya, signed for 4,500 sq ft of bar and restaurant space in the southern-most section of the scheme’s ground floor. The Natural Kitchen has completed a deal for 6,000 sq ft in the Copthall Avenue unit, across the building’s ground and lower floors. Speciality coffee, food and wine company Notes has signed for 1,500 sq ft in the unit to the south of the building’s reception, whilst Neil Rankin’s tandoori-style barbecue restaurant temper has signed for 5,000 sq ft. Notes has now opened to the public, whilst Coya is expected to open by early May. The Natural Kitchen and Temper are anticipated to open later in the summer.